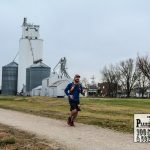 I have been asked by several people, mostly friends I think that are being kind, to write down my thoughts on starting running and documenting my first ultramarathon. The book will be a combination of what you read on this blog, balancing training with a family, and my challenges along the way. It has my perspective on life and how I look at events along the way. 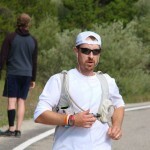 This book will cover my first half marathon in 2007 to my first ultramarathon in 2011. 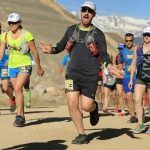 A short time to go from a 13.1 mile race to a 50 mile race over the mountains. What would one get out of reading this book? My hope would be that what you may think is impossible can be done. We are all busy between work, family, and life, so trying to fit in time to exercise may seem daunting. There are ways if you change how you look at tasks. If one person makes a change to improve their health then it will be all worth it. Apparently more people than I anticipated are waiting on this book. I do still have this in my sights to finish, but gathering the time to do it is forcing me to be more creative. There is over 100 pages drafted out with 3 editors banging on my door to read it. Before I can share it with them, I want to get it to a point that I’m comfortable with. This may mean I need to unplug and disappear for a day or two into the backcountry in order to pour it all out, but it will get done!